Superhero Myra Wood shared her adventures on the Yarn Thing podcast with Marly Bird. 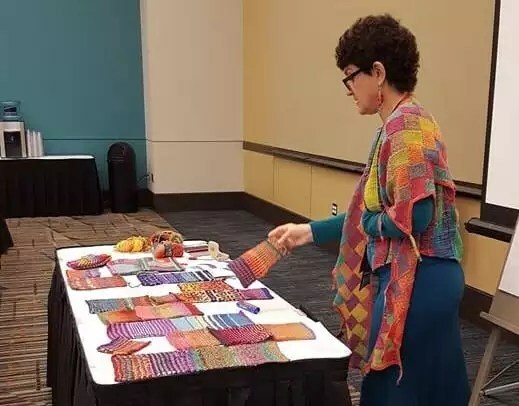 Myra teaching at the recent Stitches United. One of Myra’s designs, Schknit Happens. Loved the show today. I have never tried Free-form crochet before. Myra has enthusiasm which matches Marly’s. Woohoo! Wouldn’t I like to be in a class with high of you! Free form knitting is nothing I have any knowledge of but I’m off to look at Myra’s craftsy offerings and her Etsy shop. Such a touching show today. My mother is a breast cancer survivor, while my aunt didn’t make it to the 5 year mark. The show had me in tears. Very uplifting to hear Myra’s story. Freeform designs are so inspiring. Thank you for sharing. I love Myra’s Freeform class on Craftsy! What an inspiring podcast today! Love your classes on freeform crochet, Myra, and crazy lace cardigan. Own your books. I am a fan. Congrats on the clean bill of health! I have never tried free form crochet. But it sounds as if Myra could get me to! Wonderful, inspiring interview. I could feel the love and respect you ladies have for each other. Beautiful. This was a wonderful episode. Thanks so much, Marly and Myra. Life is freeform, like Myra’s extraordinary freeform crochet. So on that note, congratulations, Marly, on deciding to go with the once a week podcast schedule for the foreseeable future. The podcasts are wonderful, but you deserve to free up some time with all that you do. Thank you for having Myra on. I had the good fortune to take her freeform crochet class several years ago. I want to repeat her encouragement to get regular mammograms, but I also want to add that mammograms can’t detect all kinds of breast cancer. Like mine. I had a 5 by 8 cm tumor. That’s huge, but it did not show up on a mammogram or feel like a lump. So it’s important to be alert for any changes in your breasts. I noticed an increase in thickness in an area that had always been dense, and that’s what clued me in. By that time, I was stage III, but I’m still here 3 years later and doing fine. Thanks for posting the link to the post with the lemon photo. That has some great information. Hi Myra! Wonderful interview. I’ve heard a lot about free form crochet, but not so much free form knitting. I should get into that! It’ll be a great way to use up yarn! Free form is a good way to live your life! I love the idea of free form crochet, but so far my experience trying it has been subpar. Maybe I need some tips from an expert like Myra! I love the idea of free form crochet – what could be more creative! 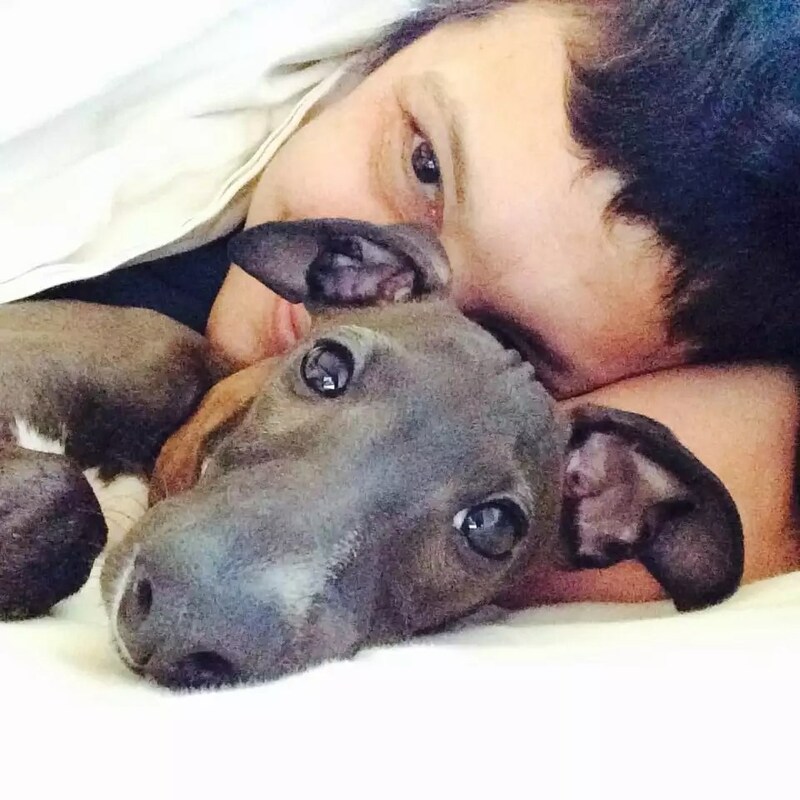 Also love Myra – glad she’s in better health. I wish that I had the courage to knit freeform….I always freak out when I make a mistake knitting from a pattern. I would love to try free form crochet. I, too am a breast cancer survivor – two different cancers 13 years apart. Finished Tamoxifen in December and now cancer free. Freeform knitting makes me nervous but with Myra’s Craftsy class, I’m sure I will get over my fear. Enjoyed the show. Would love to try freeform crochet, sometime soon. Have to finish some WIPs, first though! I don’t know anything about freeform crochet but would live to learn! Love the podcast! So far I’ve only achieved free form when I’ve made mistakes. Maybe next time it will be deliberate! What a positive podcast. I am not race enough to try freeform crochet yet, but I am sure I will get there. I have never tried freeform crochet even though I have been crocheting for over 40 years! I’m not good at freeform when I knit. I definitely prefer a pattern. I enjoyed this broadcast,and related to it in several ways. I recently had breast cancer and am learning to quilt and paper piece. Trying FREEFORM crochet and knitting is on my bucket list. I’ve never tried freeform, there are too many patterns I want to make! I have never tried freeform crochet. Maybe I will get Myra’s class on Craftsy.